Neu von Spectre – das EMBER Team aus den Black Powder – Red Earth Graphic Novels. EMBER Team on sale now! 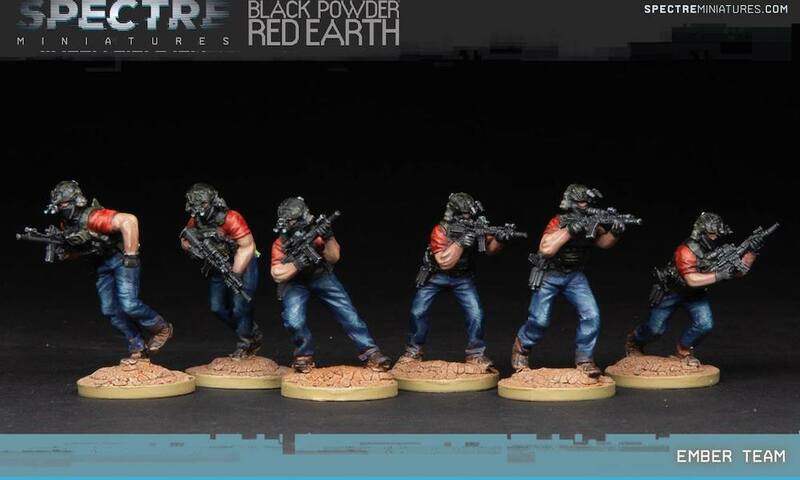 This squad of Cold Harbor Assaulters are based on the Ember Quick Reaction Forces (QRF) teams depicted in the graphic novel series Black Powder Red Earth – Yemen . Cold Harbor is a fictional Private Military Company that employs elite ex-special operations forces soldiers in the world of Black Powder Red Earth . They are armed with custom Cold Harbor Special Projects Group carbines with suppressors, lasers, illuminators and a range of red-dot and magnified sights, as well as custom Glock pistols and wear assault gear over civilian clothes. They are packing comms, medkits, breaching gear, water, flashbangs and spare ammo in their kit. 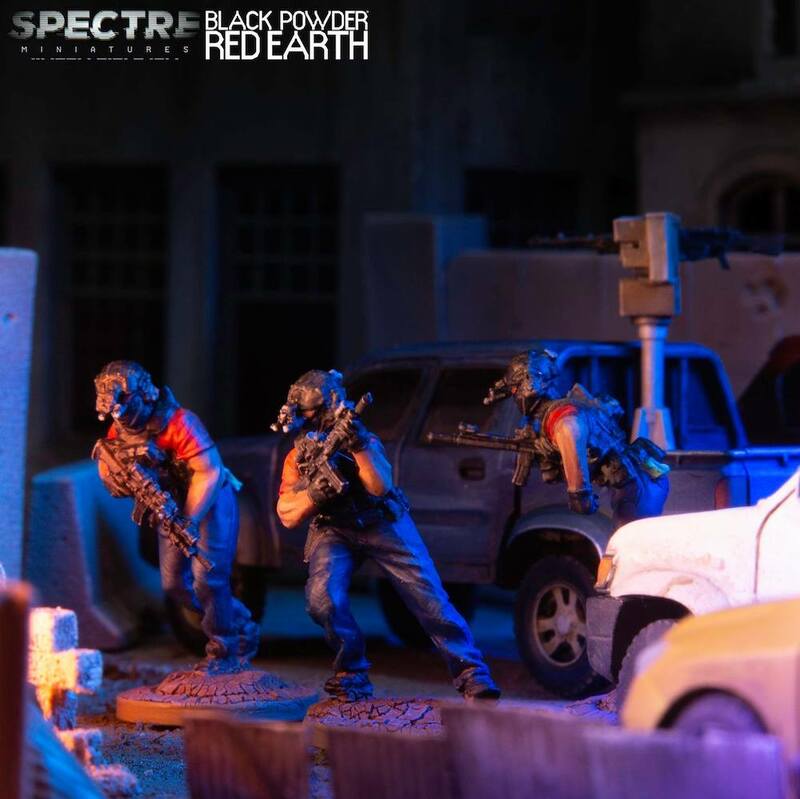 These cutting edge models are created with expert advice from the field and can be used to depict direct-action assault or QRF teams in your games of Spectre: Operations. 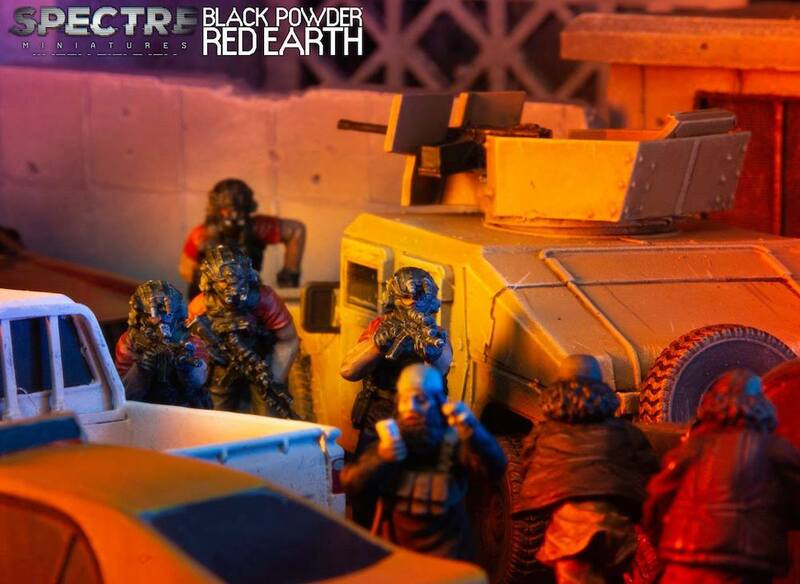 NVGs Included, Miniatures Supplied Unpainted and un-assembled. Bases not included. Wie ist denn das Regelwerk von Spectre so? Aber die Jungs machen schöne moderne 28mm Püppies.